Nowadays when prices of certain items are pretty high, many people want to obtein stuff by their own. Sometimes a guild or friends can help but mostly we prefer to do it on our own. 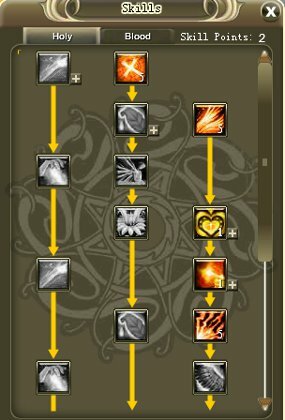 In this guide I will try to explain how to make a lvl 52 (thats mine lvl) priest being able to solo Vault normal / hard (with a little effort nightmare) and BC normal. The pets we would like to use are mainly healing pets so they can help to keep us alive. 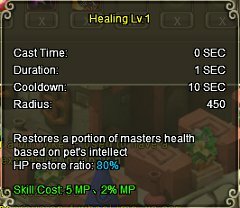 Pets dont heal much but every bit of hp is welcome. Every pet with healing ability is good but best are those who has also Charm. 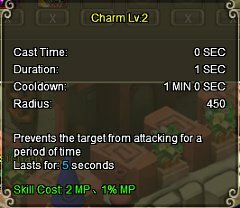 This skill is very usefull beacouse on the first lvl it stops 1 monster from any action for 4 seconds. Next lvl is 5 seconds. 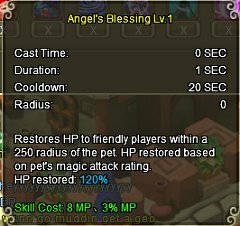 It is good to have 2 pets with charm skill beacouse You can rotate them in order to make the best use of charm. 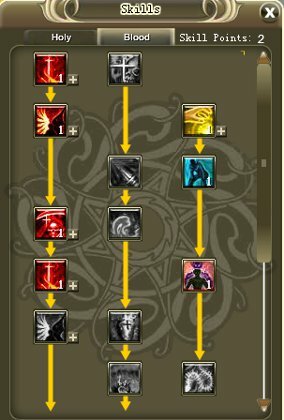 There are more skills that can be usefull like Totem and so on, but unfortunately I don’t have them on my pets… The most important thing is the pet rotation as i stated above to make the best use of all their skills. 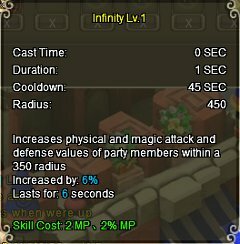 At first i was trying to solo dungeon with pure holy build, but then i realised that i really lack the damage. The best way to solo dungeons is a hybrid build. It gives You enough healing and buffs to keep yourself alive and quite good damage. Below i will post the screen shots of my build wich was mainly created by my guildmate and mentor Belarius. *there is no need in making curses more then 1/5. They do enough DoTs (Damage over time) now. As for the gear a priest should focus on HP and Pdef. Our Mdef will be always higher so items with Pdef should be obtained first. The first gear You should get is lvl 30 epic Ethereal Saviors Helmet, Armor, Boots – gloves as You wish. They give quite good Pdef and HP wich are important for Blood dps. Thise items should be upgraded till +7 so the main stats gets quite high. Dont put any gems with Pdef or other beacouse they will be better when You get lvl 53 and up and be able to make yourself lvl 50 epic Savior’s Bloodforged. As for a weapon it is obvious… best for your lvl and upgraded as much as you can. Can you explain abouth the atteribute of our own character?